Since 1978 when Dr. Gabe Mirkin coined the term RICE, Rest, Ice, Compression, and Elevation have been the gold standard for treating athletic injuries. But now the ice age is melting, and a series of studies that show that injury treatment with cold therapy and total rest may actually delay healing has even Dr. Mirkin changing his mind. Saying not to ice an injury is controversial because everyone does it, including athletes, trainers, and physicians. The new line of thinking has caused extensive debate among experts who have relied on RICE for decades. 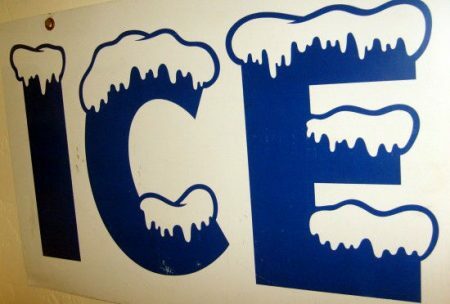 Ice has been the standard injury treatment for sore muscles and injuries because it helps relieve pain and swelling, and inflammation is considered bad. But current information shows that inflammation is the body’s first physical response to repairing tissue, and without it healing does not happen. Applying ice causes blood vessels around the injury to constrict and shut off the blood flow that brings in the inflammatory cells needed for healing. The vessels do not open again for hours after the ice is applied. Decreased blood flow can cause tissue to die and even result in permanent nerve damage. In addition, the ice reduces pain, which is an alert to avoid motion that may be harmful. A study published in The Journal of Strength and Conditioning Research examined the influence of icing on muscle damage. Data from the study did show that icing delays recovery and should not be the first choice of treatment for injuries. After icing there was an immediate increase in swelling. Indicators of muscle damage increased after application of ice. Applying ice causes blood vessels around the injury to constrict and shut off the blood flow that brings in the inflammatory cells needed for healing. And research published in The American Journal of Sports Medicine in June, 2013, said that although icing an injury relieved swelling it did not make recovery from muscle damage quicker. If the treatment reduces inflammation it delays healing. This includes the use of anti-inflammatory pain relievers like ibuprofen. Inflammation is the same biological process used to kill germs in the case of illness or infections. If germs get into body the immune system sends proteins and cells into the infected area to kill them. When muscles are injured the immune system sends the same cells to promote healing in the damaged tissue. Inflammatory cells called macrophages release hormones into the damaged tissues that help them heal. Applying ice to reduce swelling prevents the body from releasing the hormone and delays healing. This was shown in a Cleveland Clinic study published in the Federation of American Societies for Experimental Biology in November, 2010. The lymphatic system will naturally remove the swelling when the healing is done. Mirkin, who wrote the Sportsmedicine Book in 1978 that introduced RICE, said last month that an injured person should stop exercising, although not resort to complete inactivity, since total rest also does not stimulate tissue repair. Complete rest causes tissue to waste, so he recommends using light exercise as a repair stimulus. Mirkin says it is okay to apply ice for pain relief immediately after the injury occurs, but for short periods only. He suggests icing for 10 minutes, removing the ice for 20 minutes, and repeating the process once or twice, but stresses that there is no reason to continue icing more than six hours after injury. If the injury includes broken bones, loss of consciousness, or an inability to move, go to the doctor! According to The American Journal of Sports Medicine in January, 2004, ice plus exercise may be of some help in healing ankle sprains. A new acronym, MCE, replaces the old standard RICE, and leaves out cold therapy for injury treatment. MCE stands for Move safely when you can as much as you can, Compress, and Elevate. The ice age is melting.